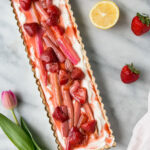 Easy Rhubarb and Strawberry Tart with a luscious lemon filling and flavourful rhubarb and strawberry topping. Rhubarb! Strawberries! Spring!!!! Hooray. This means sun is on the way and all things delicious are making their way back into the produce section of the grocery store aisles. 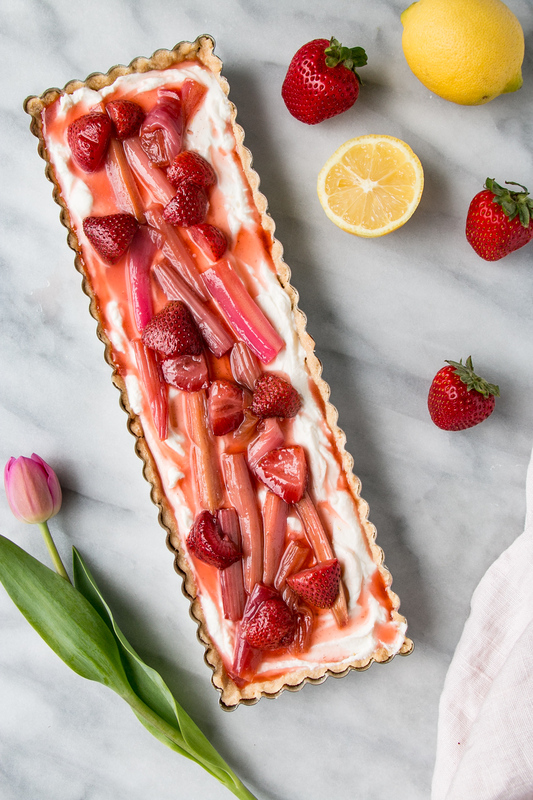 The strawberries shine in this tart. They’re baked down which releases a lot more sweetness and pair so well with rhubarb, balancing out it’s tartness. And the rhubarb. Sigh, I love it when it becomes almost neon in colour. Gorgeous as well as extremely delicious. Since it’s technically a vegetable we all get bonus points for eating this dessert, right? 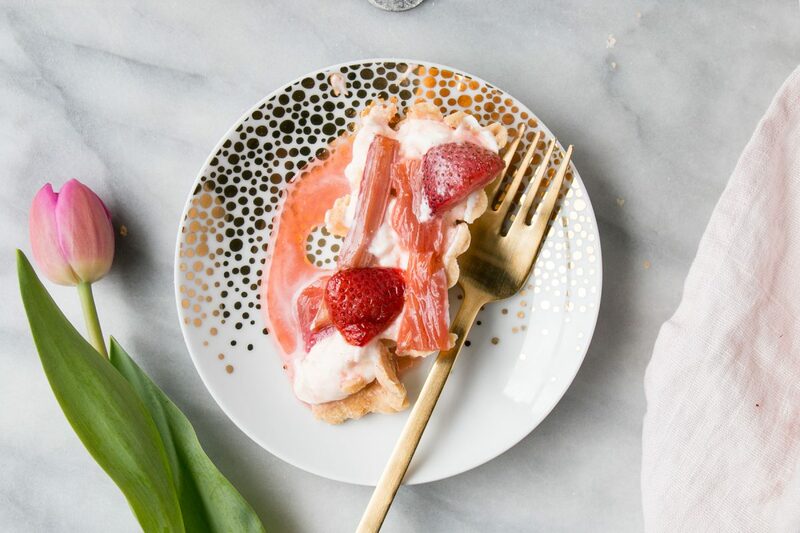 This recipe is straightforward and if there was a way to provide you with the smell of the strawberry rhubarb mixture coming from the oven, I would. It was heavenly. The rhubarb softening, strawberries releasing their sweet juices. All combined with vanilla. A scent that won’t fade for me for quite sometime. 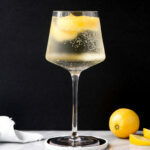 The filling is a no cook citrus custard that is neither too sweet or too tart. 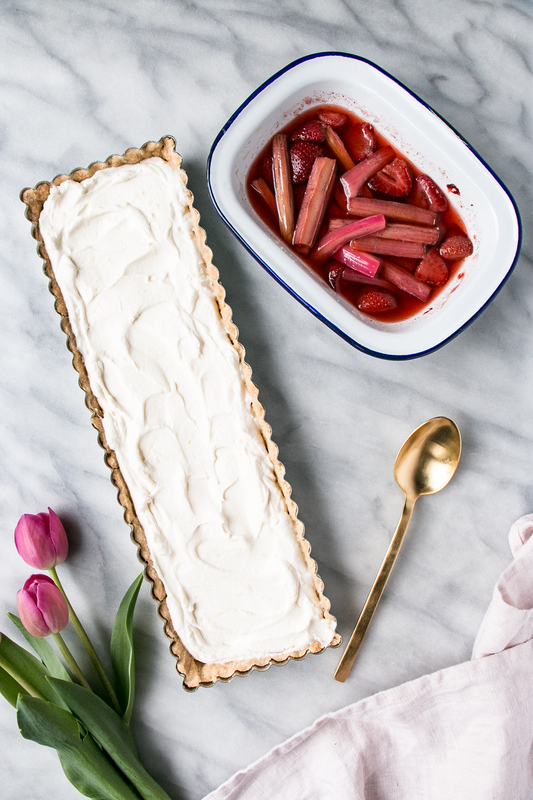 A perfect pairing for the tart/sweet combo of strawberry rhubarb and the custard comes together quickly, which is brilliant for bakers like myself (aka those of us short on time). 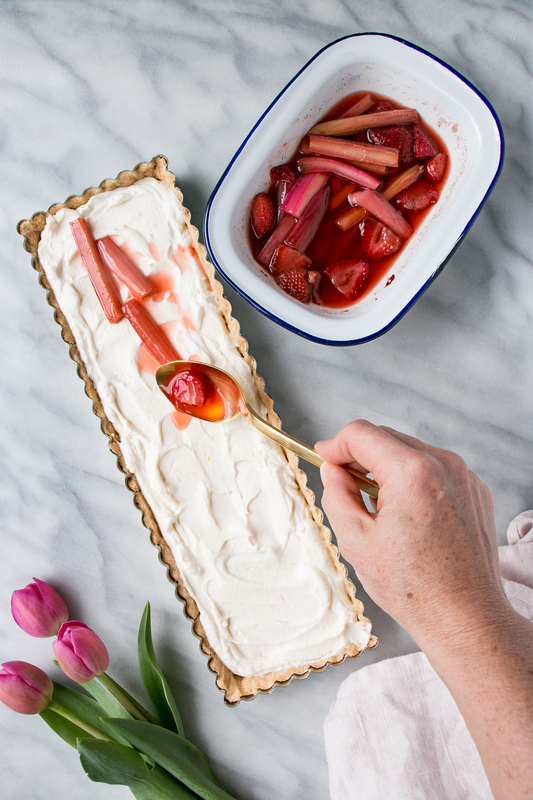 Rhubarb is really easy to work with. 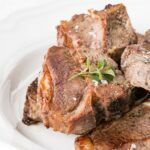 It requires zero peeling and can be chopped up into whichever sized pieces and shapes you like. Add some sugar and water into a pot for a quick simmer for some simple, but delicious stewed rhubarb. The main issue with cooking with rhubarb is that no leaves of the rhubarb are consumed. A small amount can make people sick (from the oxalic acid found in the leaves). This post is apart of #StrawberriesAreTheJam collaboration and there are a ton of blogger links to more strawberry recipes below the recipe card. 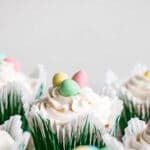 Special thanks to Rebecca from Square Meal Round Table, Annie from What Annie’s Eating, and Joy from The Cooking of Joy for organizing another fun collaboration! The last collaboration was apples and I made this Birds Nest Apple Caramel Cake. Remove pie crust and place in a pie dish of your choice. I used a fluted pie tin and had to reshape the crust to fit the tin. Once placed in the tin, poke the pie crust with a fork all over. Place a piece of parchment paper of the crust and top with pie weights or beans (throw the beans away or reuse for same purpose later on. Don't eat them though). Follow package instructions and cook pie crust. Remove pie weights and parchment paper. Let cool completely. Preheat oven to 350° F. Place rhubarb, strawberries, vanilla, sugar and water in a small baking dish. Bake for 20-25 minutes until rhubarb has softened and the mixture becomes fragrant. Remove from oven and let cool. Filling: in a medium bowl, whisk together crème fraîche, cream cheese, sugar, lemon zest, and lemon juice. To assemble tart place filling in a completely cooled pie crust. Top with strawberry and rhubarb mixture. Tart filling inspired from Sunday Suppers Recipes & Gatherings. 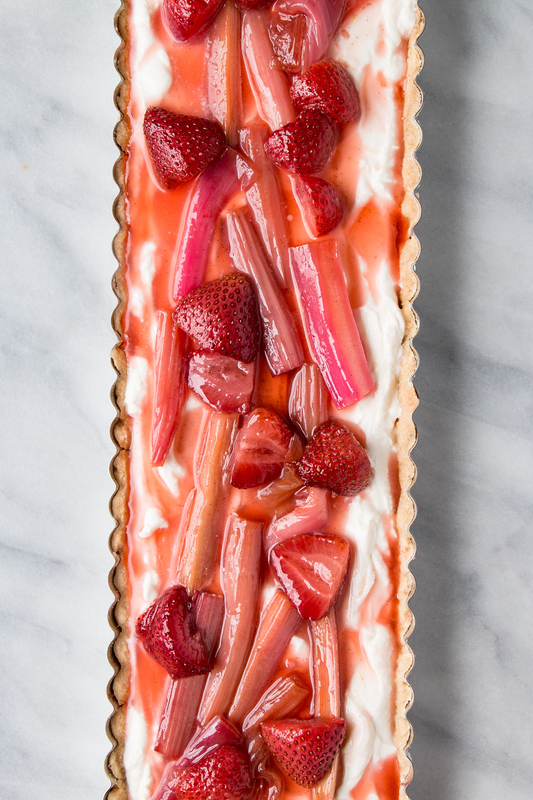 I need to cook with rhubarb more this looks incredible!